Yoda, that was my nickname in my professional field. It was earned though teaching and coaching in the medical field. Teaching was an early vocation done primarily at the Medical College of Georgia. Teaching became an international occupation as research moved me onto a broader stage. Throughout that career I remained not just a medical scientist, I continued a life long pastime in sports. Sport, actually, was a bit more than a pastime since much of my professional work involved athletics. In my academic labor I uncovered associations with a continuum of health ranging from the Olympian to the infirmed. Along the way I maintained a competitive fixation on my development as a scientist as well as an athlete. In many instances I applied medical rationale to sports – long before an official field of sports medicine had blossomed. Not solely that geek looking at athletes I competed as an athlete earning spots at two major World Championship. (4,5) And on this journey became a USA Cycling coach. Coaching is a discipline that transferred easily for “Yoda” of the academic environment. During that time I was not only a coach but a Category 2 ranked cyclist among the USA Cycling rating system where I competed in the US and Europe. Did I learn cycling on my own? No, there were two great coaches that pulled me along: Nestor Gernay of Belgium and Gabe Stanley of South Africa. (Both immigrant US citizens) Taking from that experience and adding a background in cardiopulmonary medicine I developed patented methods to better train endurance athletes. Aging takes a toll on what an athlete can do in endurance sports. Certainly, endurance fitness shouldn’t be prohibited due to age, but age is no friend to endurance fitness. 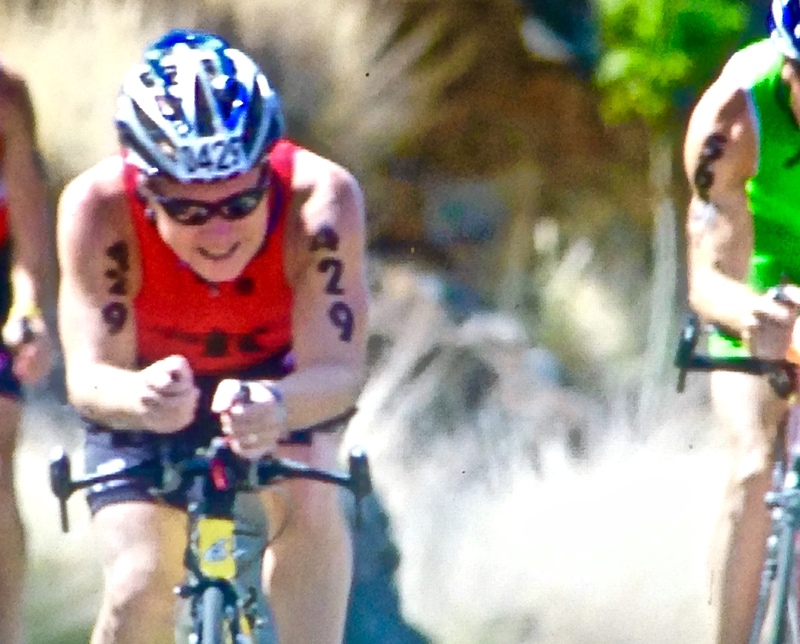 In November of 2013 I knew that competing in endurance sports would remain fun, but it would never be the same as when I was younger. Then, purely by chance, I stumbled into archery. It is my belief that age, while there are some inherent pitfalls, is not a barrier to archers. I believe that an athlete over 50 can become an elite archer whereas an athlete over 38 is unlikely to maintain elite status among endurance athletes. A few months after the November 2013 intersection with a bow and arrow I set out to discover whether or not I could become on of those elite archers. Since picking up a bow the transfer of talent from elite endurance athlete to elite archer remains incomplete. Along that course I have gained insight into the archery that I believe, once refined, may lead to enhanced performance among archers. In order to solidify a foundation to further this course I needed a stronger grasp of current archery fundamentals and coaching and the methods associated with each. I do see myself embarking on a career in archery not only as a pastime but also as a coach and researcher of the sport. In order to achieve this I need all coaching education specific to archery I can gather. As I progress I will apply what I learn to my own practice. I see myself coaching and teaching others in archery in the same way I have done in professional basketball, professional football, professional cycling and professional triathlon. 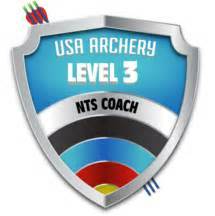 (6,7,8,9) Level 3 archery coaching is another milestone in this adventure. Lain D, Shakar U.: Practical pulse oximetry during high altitude hiking. Chest, Vol 118, No. 4, page 203S, 2000. Lain D, Jackson C: Exercise induced hypoxemia (EIH) desaturation zones: a use or athletic training. Chest, Vol 118, No. 4, page 203S, 2000. Lain, D: High altitude respiratory distress: an RT’s personal experience. Advance for Resp Care and Sleep Med. Features section, online Sept 26, 2012. Among elite athletes you’d find that many of them know their competition. They understand who they compete against and their opponents’ skill level. Many of them compete against one another numerous times during one season. They all know what to expect from a competitor. You can’t control the person you’re competing against. You can manage your scores. When I train I like to have goals in mind. Often times one of those goals relates to points earned during a practice that simulates a competition. It allows me to do a few things. I learn how I typically score. If I am scoring low I look for what it is I am doing incorrectly. From this I’ve learned my biggest two errors are too much heel in my grip and rushing shots. This also trains me to read the score and forget about it. In a tournament you will see you score after every end. If you get the habit of seeing frequently seeing your score it becomes less of a mental burden. You learn to read it and release it. I do like to know how my opponents are shooting. If, for example, they are way ahead of me in the scores I have a more aggressive goal. With that in mind I might make training plans that could help me find the X more often during a specific type of shooting. Certainly, we all want to shoot a perfect score. It is one of my current goals on a 3-spot. But, I know that it won’t come over night. I record all of my practices and view my scoring data graphically. When I complete a practice where I was simulating a 3-spot event I go back and review how I did against my previous practices. Ideally, I’ll become so comfortable with my numbers they have minimal impact on my performance. The numbers will take care of themselves. This hit home when I was searching scores of the archers I’ll be shooting against in a few weeks. In an outdoor competition I was shooting in a younger group – that is against archers a decade or more younger then me. I’d won 2nd place, but had no idea how far back I was before the OR. When I saw the brackets I was surprised. While I’d made it through the QR I really didn’t know how far back I was compared to the others. It didn’t matter. You will see your score during a tournament. You can’t let it get into your head. Shoot each shot using your process and trust your training. Your score will take care of itself. There’s a lot of movement that goes into shooting an arrow. Watching archers you’d see them lift a bow and let go an arrow. In fact, there are over 100 steps involved when an archer shoots an arrow using a recurve bow. If the archer is using a compound bow there are 78 steps involved in shooting just one arrow. That is a lot to learn, put in exact order, and shoot a good shot. The motions for shooting an arrow are listed in 11 major steps. Each of those steps involves subsets of movement to reach perfect form for that perfect shot. Practicing these steps, rehearsing them in your head during the release of every arrow seems overwhelming. It isn’t that difficult. Before long you move effortlessly through each shot. But, you still plunk out less that perfect scores. If you are a serious archer you may have found ways to move through a shot sequence, touching on the steps needed to assume good form, that work for you. Good form comes with practice. For the purpose of this writing we’ll assume each of you has developed good form. But, you still find that you are not landing arrows consistently where you want them. After years of practice you might have gotten a bit sloppy or lazy and no longer think though the shot process. Why should you, you’ve done it thousands of times. Here’s why: You need to move your thought process from a conscious one focused on making a good shot to a sub-conscious one that shoots the good shot. If you are thinking too hard about the shot, you’re working at it too hard and not letting it happen. Now, I am taking for granted you are a well seasoned, practiced, and coached archer. As you take the line you think about your stance. Get it right. Easy enough. You nock an arrow. You hook and grip your bow. 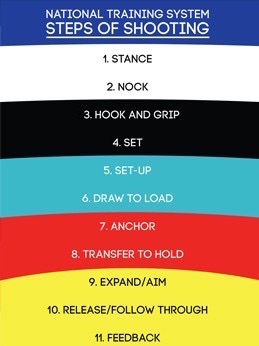 You set up, go to set, draw to load, anchor, transfer to hold…. Wait this reads a lot like the first eight steps of the process of shooting. That’s because these are the first eight steps. Next you think expand and aim, release and follow though and feedback. But, you want your mind blank. You want the subconscious dealing with the shot. Of course, before you can reach this point, you need to understand the 11 steps of shooting. Once you have master those steps look for your process to give the shot over to you subconscious. Each week I look over training plans. These cover the daily, weekly and monthly practice sessions. The plans are arranged around tournaments. Those tournaments are graded as A, B, or C events. ‘A’ events are the major tournaments such as a State, National or World Championship. ‘B’ are typically local tournaments where I want to do well but leave some room to try new things and make adjustments. The ‘C’ events are mostly league shoots where I want to do well but may not have exactly what I need to provide the best score. During a ‘C’ event, such as indoor league, I might compete with outdoor arrows rather than the wider indoor arrows. In these events I focus on applying skills yet to be mastered that I worked on during the day at home. The archery training plans I follow have blocked time everyday for fitness. Each morning there is a stretching routine followed by running before I pick up a bow. In the afternoon, before shooting I ride a bicycle. On one to two days a week, depending on the training cycle there is time allocated for lifting weights. Nearly everyday includes a morning and afternoon archery practice. On days when there is an evening league shoot I might shorten the afternoon practice allowing for the additional time spent on the range at night. The training plans are associated with specific goals. 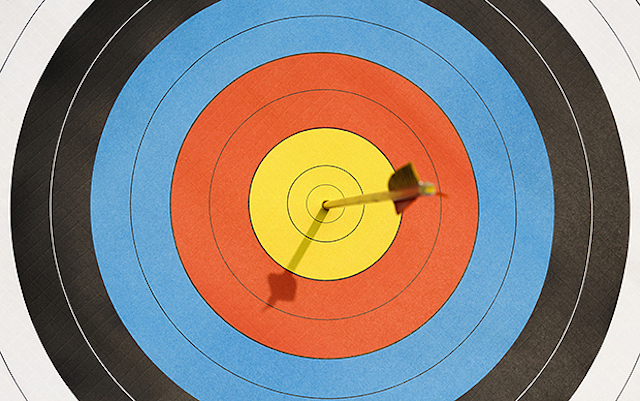 Improving, as an archer is best accomplished with exact plans in play for each practice. Incorporating general fitness is an important adjunct to being a complete athlete – even for archers. By following written training plan archers can increase the likelihood of accomplishing their goals. A few years ago I was shooing in a tournament next to Roger Willet, Jr. Willet is a seriously good archer and has been ranked number one in the world. (1) We talked a little, mostly about fishing. I did overhear him giving a piece of advice. Someone had asked him a question, which I didn’t hear. His answer to the unheard question was, “One of the biggest mistakes I see amateur archers making is buy new equipment too often.” That seemed to me a solid bit of advice. If you shot professionally you may get a new bow every year. 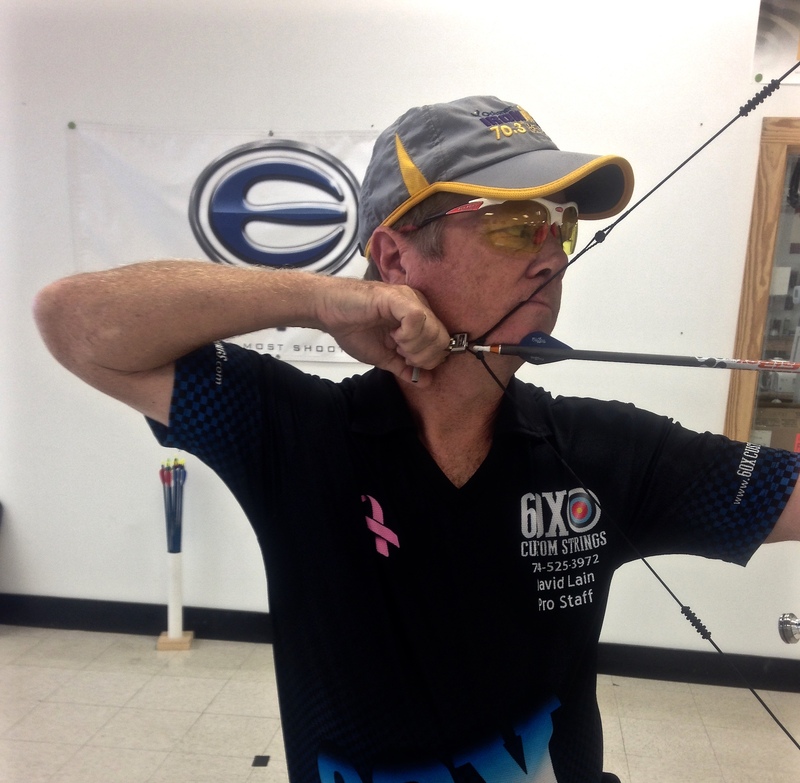 Chances are the bow comes as part of your contract with a sponsoring bow manufacturer. As a professional archer many amateur archers watch you. You shoot well and that new bow in your hand becomes the envy of many. Hundreds of amateurs that have witnessed that professional’s skill at hitting the mark and many of them will rush out to purchase that amazing new bow the pro is shooting. Here’s the thing, the amateur would be better off investing in more range time than a new bow. 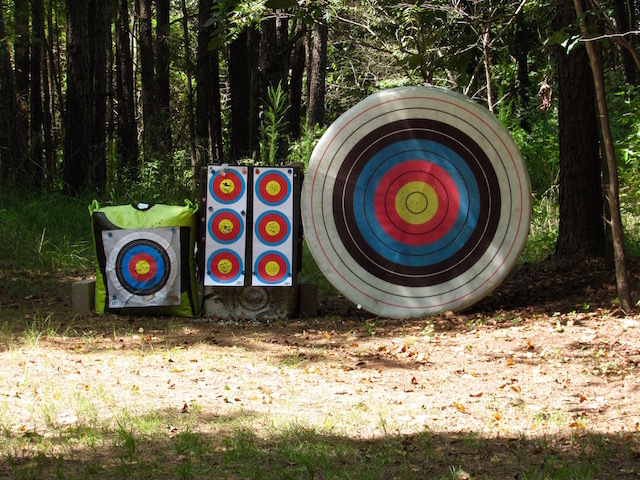 Last week, a student archer, one that is pretty good, had performed poorly on a few shots. Her immediate reaction was to suggest she needed new equipment. Her equipment was fine. I asked, “How long have you been shooting?” She answered she’d only been shooting competitively for a year but had been doing some recreational archery for the past few years. Remembering Willet’s advice I echoed it and offered that she not invest into more gear until her groups were tighter. See, it wasn’t her bow, it was her. There are a lot of excellent bows on the market. Put any of them in the hands of an elite archer and that archer will shoot it like an elite archer. Elite performance, simply put, comes from practice. If you are considering a new bow in an effort to improve, stop and question that decision. Are you practicing 900 to 1200 shots per week? Are you groups tight? Are you looking for marginal gains? 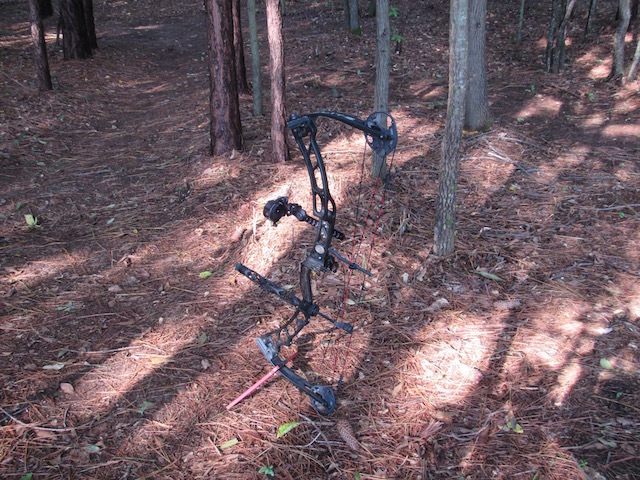 Are you shooting an entry-level bow with a lower level sight and inexpensive stabilizers? There is a point where equipment can provide marginal gains. But, for most archers, more practice will provide the greatest gain. Seventy meters is a pretty long shot. The next “A” tournament for me will have 36 of the 144 arrows fired from 70 meters. I could shoot senior rather than masters and get to shoot from 90 meters. 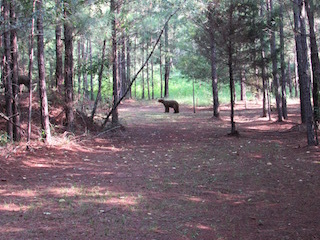 I don’t have a lane cut through my property to accommodate 90-meter practice. I also don’t think 90-meters is a distance I’d want to shoot at a target that I’d not practiced often. So, I’ll practice at 70 meters and compete as a master. In designing a training plan for developing comfort at 70 meters I used a 40 cm indoor target. The center ten ring is dime sized on that paper. It’s a small target. In fact, my scope’s dot covers the yellow rings when aiming at it from 70 meters. 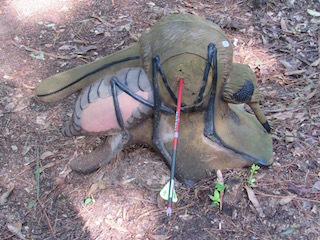 After shooting about 1500 arrows at that small target I rolled out the big boy, 122 cm and practiced against it. The yellow ring seems large on that monster. Shooting 70 meters takes longer than practicing at 20 meters. It takes longer for the arrows to reach the target and longer to retrieve them before the next end. After a few days of this I decided to break up the routine. What I did was move to 20 meters. I didn’t change from outdoor arrows to indoor. The diameter difference would mean I’d need to adjust my arrow rest to use indoor arrows. I didn’t want to fool with all of those mechanics. I did want to know how I’d score using skinny arrows at 20 meters and compare it to last year’s indoor scores using wide body arrows. I’d done this last week at an evening indoor league shoot. For the same reasons mentioned above I didn’t switch arrows – laziness. I didn’t shoot all that well. The excuse I’m offering is that I was fatigued from the two previous practices of the day. I also wanted to see if that excuse held water. If it did, perhaps I’ll use it again. The excuse didn’t hold a lot of water. 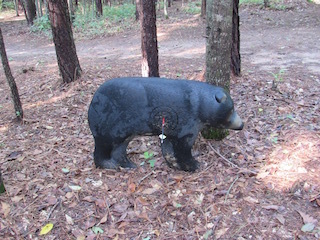 I did shoot better during the practice at the 20-meter distance using the skinny arrows at home. The score was 12 points in favor of the less fatigued effort. Hey, 12 points is a lot at indoor distances, so maybe a little water is retained. The watered down excuse has been cataloged for future application. The “little” target (pinned to the bag) is what I’ve been shooting for 70 meter practice. The 3-spot verticals where left-over targets I had in my garage and used for 20 meters. The big boy is the 70 meter sized target. The bonus is that by breaking up the long distance practice I created a fun game for myself. Practicing archery alone two times a day, for 1 to 4 hours per session takes perseverance. Breaking up those sessions, while remaining focused on the next major event, can help keep the mind fresh. Mornings are typically used for target practice. The afternoons are set aside for 3D practice. The reason is I am more tired in the afternoon and my 3D bow, an Elite 35, is lighter than my target bow, an Elite Victory 37. Usually, in the morning I practice for a few hours and shoot 100 to 150 arrows depending on the distance. I try to be on the range by 8:00 AM, after morning exercise. I’ll stop shooting between 10:30 and 11:00 AM. By then, I am ready for a break and lunch. After a break and lunch (and a short nap of 20 to 30 minutes), I try to do whatever chores need to be done, ride a bike, and prepare for afternoon archery practice. Two days a week I head to the gym rather than do chores. Sometimes it is good to change things up a bit. Locally, I’ve faced a lot of long shots. On my range I have a lot of smaller targets. On those, I didn’t go crazy and try to shoot a rabbit at 40 yards for this practice session. I shot it at 20, a realistic distance should a smaller target happen to be placed on a range at a local event. The exception was a javelina that I shot from 36 yards, a distance that isn’t unexpected for this smaller target. Out of curiosity, I wore a Garmin and recorded the distance I walked, it was 1.02 miles. 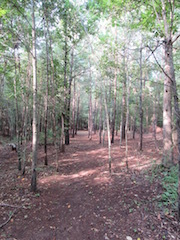 That included walking while I warmed up. 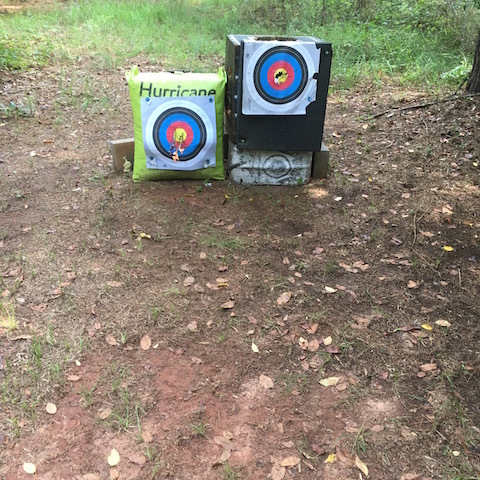 Warm-up was shooting six arrows at a bag from 20, 25, 30, and 35 yards. At 40 yards I shot 12 arrows for a total warm-up of 36 shots. It took I hour and 45 minutes to finish the practice, less time than usual for the morning routine. But, it helped me see where I am weak. I didn’t shoot par. I shot a three 8s and one 12 to finish with a 196 (twenty targets). The average distance for all targets was 29.5 yards. The eights were no surprise. The first was a hen. She’s a tough target at 27 yards. The dark hole where she sits makes finding the small rings difficult. The second was a small pig at 32 yards and the third was the javelina at 36 yards. 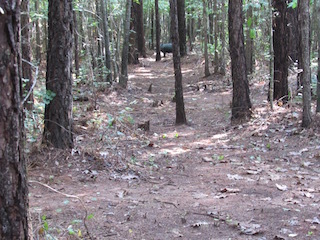 Both the small pig and javelina are positioned at angles to the stake. The up and down was fine, but in each case I shot a little wider than I should have. From this practice I know these targets need extra attention. It’s good to simulate a tournament to get an idea where you might need some extra work. 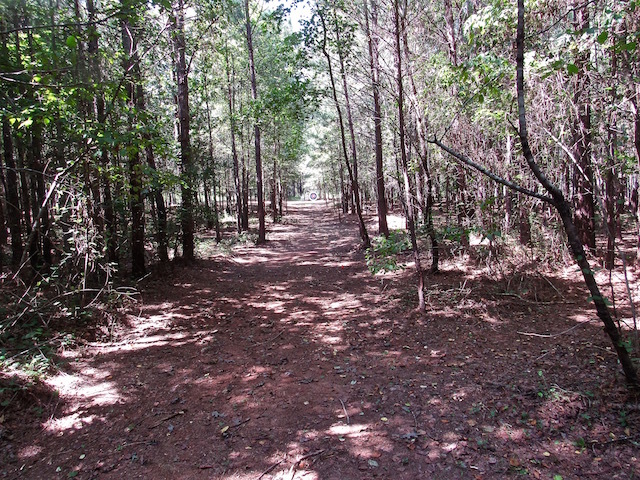 Shooting ego-easy distances and targets won’t be much help when you’re faced with tough shots on an unknown range. When I raced bicycles there was a group I trained with. Among that group of cyclists were Olympians, World Champions, and State Champions. There were hard rides and harder rides. Yes, each rider had his or her recovery time based on his or her race calendar. But, when the group gathered for a training ride it was going to be a tough one. Thi s wasn’t training, it was a race. It, too, hurt. Being around and training with such a group of elite cyclists you either got better or got dropped. There were days when it hurt so badly it took every bit of effort not to get dropped. There were other days when you felt no pain. Archery doesn’t cause the same physical pain. Still there are practice sessions where it seems all you can see is red; no arrow finding it’s way to yellow. There is also some pain. Mentally you are exhausted by your arrows circling the ten ring creating an outline on the red. Your arm, after about 60 arrows is beginning to feel the weight of the bow. By arrow 100 that arm is screaming. That is until you become comfortable handling 120 arrows during a single practice session. Still, you have to shoot through the missed marks. You become comfortable holding a bow and aiming at 200 arrows. Those wayward arrows that landed in the red are becoming less stubborn and finding yellow. Then, you find that group of archers that as a rule have better shooters than you. Practicing with them you find that you have to improve or you get dropped. On the range I overheard a fellow taking about motivational lectures. Another was saying that he could shoot 30 tens in a row (small X) if he could get his head into the game. Both were practicing. Both were off the mark. I have a number of friends that have competed in the Olympics. A few of the have multiple Gold medals and others have Silver and Bronze. One has a Gold and Silver medal. I’ve also trained with World Champion triathletes and cyclists. In each of their respected sport disciplines they all had one thing in common – years of hard work. Sure there are outliers that make an Olympic Team or make it to the World Championships with less work that others, but as a rule it takes time to develop as an athlete. On the other hand I know folks that have read all the books, listened to the audio presentations, attended the seminars and done all manner of mental preparation for a sports event and failed to achieve the glory held in their head. Certainly, there is a mental aspect to being the best in any sport. At some level all the top athletes are extremely well suited physically to win. This is easily observable during individual sport events. Getting back to the two guys in the range. I watched them shoot and heard their excuses. During my practice they came in, shot, missed, shot some more, missed some more and left. Neither shot more than 30 arrows. Both were convinced their mind wasn’t on the game. Maybe. I look at it like this, “If you want to shoot all X’s, you have to shoot all X’s” and that doesn’t come from 30 arrows in practice 4 to 5 times a week. On the range, that day, there was a 3-spot target that had been shot and left pinned to the backstop. It had been shot 30 times. All but 6 arrows had hit the X, the 6 that missed where nines just off the line. I asked a friend who had shot that target. He told me and I’ve heard that archer say he shoots about 200 arrows a day (compound bow). That is a lot of physical practice. Shooting a couple of hundred arrows per day takes a good bit of time. Not everyone has two to four hours free to shoot his or her bow everyday. Not everyone will end up as an Olympian or competitor at a World Championship. You may believe that because you’ve read or heard a speaker claim it is your brain that controls everything and that limited physical practice can compensated by seeing yourself the victor. If you are a Jedi Knight, maybe. But, even Jedi Knights practice their art for decades before being able to pull off a bit of magic. There is no magic to becoming a skilled archer. It takes practice and a lot of practice. If you put in the hours to earn the skill you can become one of the elite performers in this sport. At that point your mental game may be what separates you from the next elite on the line. Wednesday is hump day. On Wednesday, I was feeling it. First thing in the morning I stretch. As we age we lose our flexibility. I stretch to help prolong my flexibility. It is also a nice way to start the morning. Then, I have breakfast. After breakfast I run. 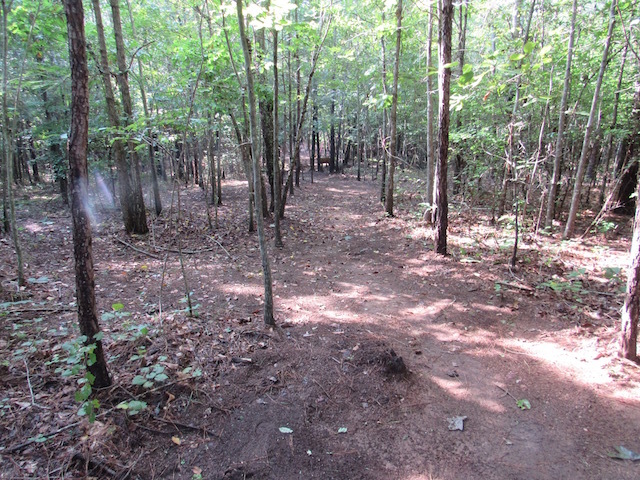 All my current running is spent on the trails behind my house. 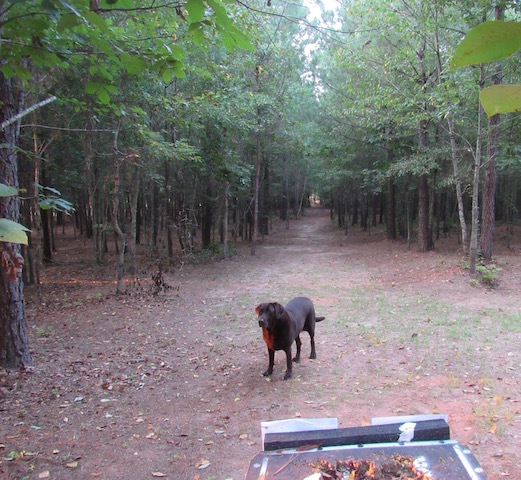 River, my lab, joins me. It is about a half an hour of spending quality time with River and getting in cardio. 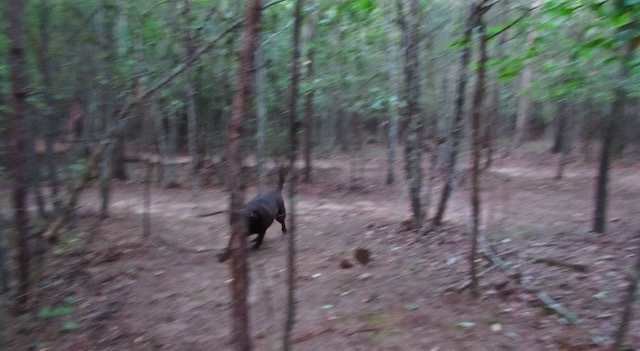 River really seems to enjoy running in the woods. By the time this is done it is around 0730. I gather my archery gear along with my plan for the morning’s practice. Depending on what is planned the practice can be anywhere between 60 and 120 arrow shot. This takes about two to two and a half hours. Between 1030 and 1100 it is break time. From 1100 to 1200 I have write (as I’m doing now) and have lunch. After lunch I take a short nap. Two days a week (Monday and Thursday) I go to the gym. By 1430 I am headed out for a bicycle ride – more cardio. The cycling is a practice that happens five days a week. I ride for an hour. At around 1600 I am back on the range for another one to two hours. That’s a lot of arrows – the finish of this morning’s practice 1080 arrows had shot in practice. I stopped a little early on this Wednesday. I was feeling a bit fatigued. You need to be able to recognize when your body is tired. There are times to push through fatigue. There are also times when you need to listen to your body and ease up a bit. Taking a break when your body calls for it may reduce the risk of an injury or developing a habit that is poor form.